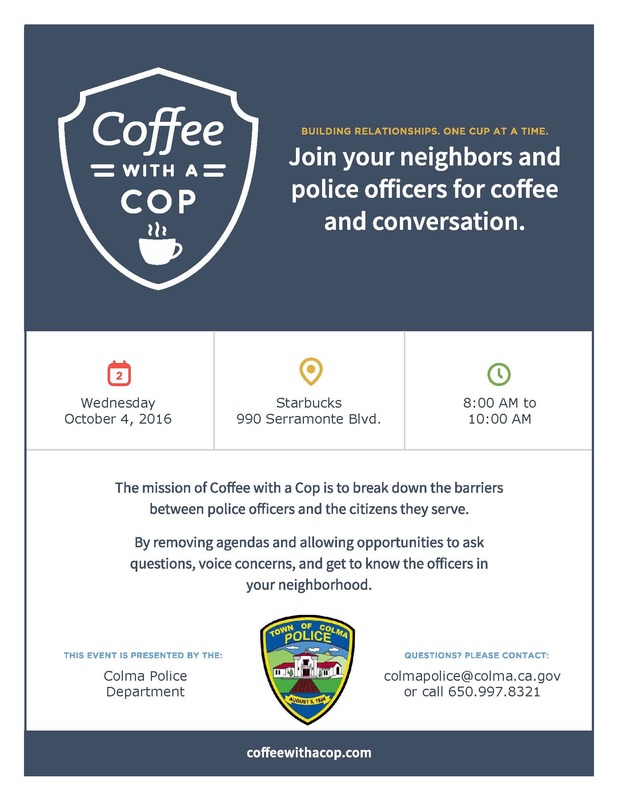 Join your neighbors and police officers for coffee and conversation at Starbucks on Wednesday, October 4th, at 990 Serramonte Blvd. in Colma from 8:00am -10:00am. We hope to see you there.